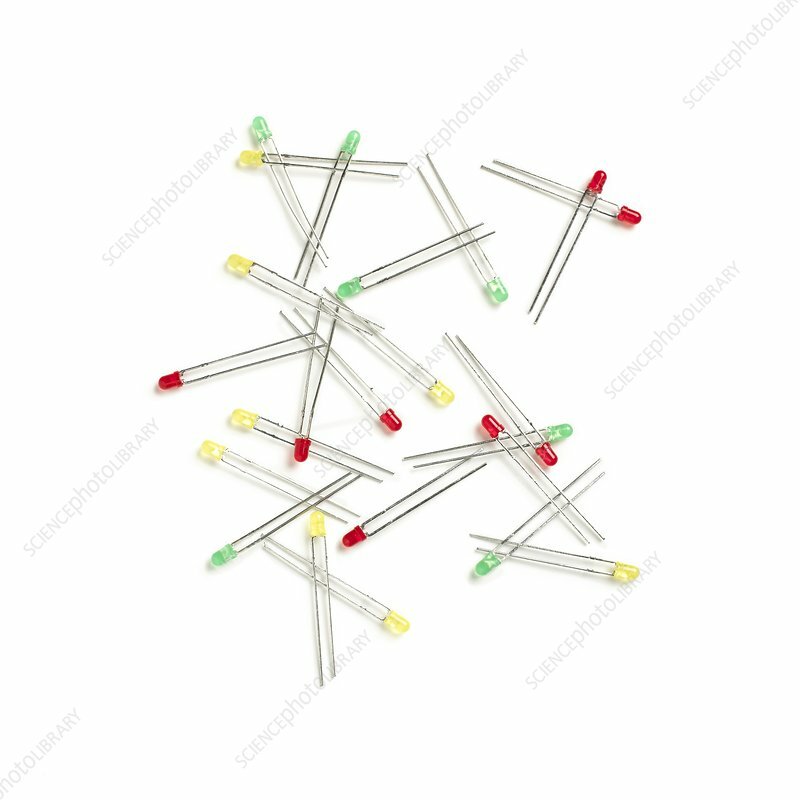 Assorted LEDs. Light emitting diodes (LEDs) are made of two thin film layers of semiconducting material impregnated with impurities that create opposite electrical properties. Passing an electric current through the LED makes it produce light. The colour of the light depends upon the semiconducting material used.